Mornin', y'all! How's it going? I've got a cranky kid today. At least, he was cranky until he started shoving cereal puffs in his mouth and if he's cranky now at least he's quiet about it :p He was really cranky last night too. But anyway, since this week is Thanksgiving, I just had to make at least one more fall card. 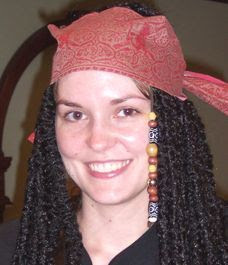 And oddly enough, I picked three colors in the Brights family to make it. I cut out the leaves with the Seasonal Layers Thinlits, then stamped each with a stamp from Timeless Textures to give them...a little texture ;) And how much am I addicted to the Stitched Shapes Framelits lately? Like, a lot. I didn't want to cover up my leaves, so I kinda combined the sentiment strip and the three round embellishments into one row. Rhinestones FTW! In other Cupcake Inspirations news, they chose my monochrome fall card from last week as one of their challenge winners, woohoo! Okay, kiddo is getting all talkative so it's time to take Mr. Cranky McCrankyPants to the gym so he can burn off some energy in the daycare while I work out. Cheers, y'all! Very pretty. LOVE the colors and of course, the leaves. LOVE the leaves. Lovely fall leaf card! I love the colors you chose. 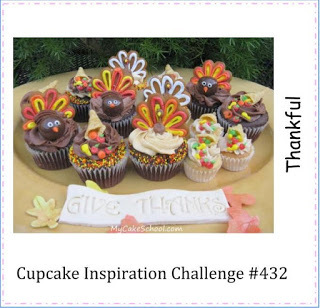 Thank you for sharing with us this week at Cupcake Inspiration Challenges. Super cute! 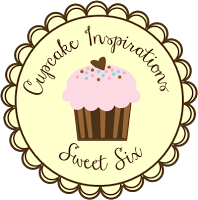 Thank you for joining us at Cupcake Inspirations Challenge! 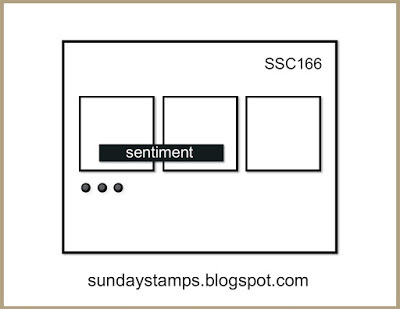 great use my sketch for Sunday Stamps.. Such a lovely fall card, and you did a great job with the sketch!